If you are a new or existing Fire Risk Assessor and are thinking of increasing your knowledge of fire safety and risk management, you’ve landed on the right page to find out about our great value NEBOSH fire certificate course. 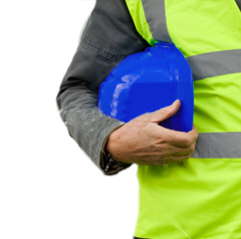 You do not have to have an existing NEBOSH qualification, nor the NGC1 unit to sit this course! On successful completion of this course, you will gain 2 NEBOSH Unit Certificates to show that you have passed a course on fire safety and risk management and undertaken a practical examination (a fire risk assessment) to demonstrate your practical knowledge of fire risk assessment. Both are externally moderated by NEBOSH. NGC1 is part of the course, and is required to gain the "full" NEBOSH Certificate in Fire Safety and Risk Management, however many choose not to undertake NGC1. There are benefits to undertaking the 5 day NGC1 unit, most however do at a later date, if they feel they require it. Holder of the full fire certificate can gain membership of professional institutions including the Institute of Occupational Safety and Health and the Institute of Fire Engineers accept it for entry onto their register of professional fire risk assessors. Read on to find out more. You need to be trained to undertake fire risk assessment and there is growing concern regarding the competence of fire risk assessors. The UK Fire and Rescue Service suggests that inadequate fire risk assessment is the main reason that companies face enforcement action. That often occurs due to a lack of competence, so if you intend to do fire risk assessment then undertaking the NEBOSH fire certificate course makes absolute sense! If you currently undertake fire risk assessment or provide training for others, and YOU haven't been trained, you are taking a big risk. Fire risk assessors and companies have been prosecuted for inadequate fire risk assessment. In a recent court case the judge made it very clear that only competent persons should undertake fire risk assessments. The course syllabus meets the Fire Risk Assessment Competency Council 'Competency Criteria for Fire Risk Assessors'. The criteria is used by professional bodies and certification bodies who register or certificate fire risk assessors. It is also used by commercial companies providing fire risk assessment services. So if you are looking for a competency based qualification, look no further! We are pleased to announce that the NEBOSH National Certificate in Fire Safety and Risk Management is now recognised by the Institute of Fire Prevention Officers (IFPO). The IFPO represents fire safety professionals across all sectors of employment including manufacturing, transport and the fire and rescue services. Holders of the NEBOSH National Fire Certificate are now entitled to Technician membership (TIFPO) of the Institute and the qualification also meets the academic requirements for Associate membership (AIFPO). The IFPO have agreed to waive their joining fee for candidates whose membership application is received within 3 months of passing the fire certificate qualification. Its NEBOSH accredited, and you can't get much better than that! 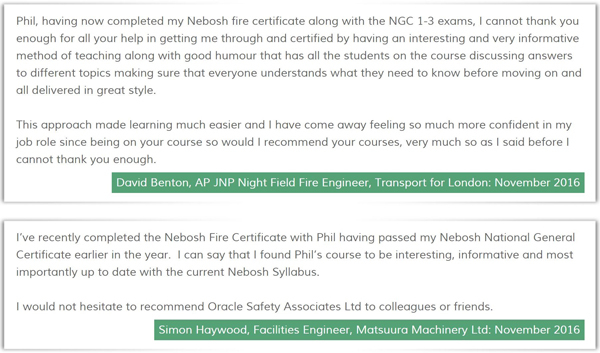 of course there are other organisations that accredit fire safety training, but NEBOSH is a very well known name and respected throughout the world. The course would help a Responsible Person meet the requirments of the Regulatory Reform (Fire Safety) Order 2005. If you intend to carry out fire risk assessment. You would pay far more than the price of this course for a competent person to undertake a suitable and sufficient fire risk assessment for your company! Do the course, or send someone from your company and undertake your own fire risk assessment and SAVE MONEY! Why undertake the NEBOSH fire certificate course with Oracle Safety Associates? PRICE: At only £590.00 + VAT, (excluding £66.00 exam fee) our price is exceptional value for money. Most NEBOSH Fire Certificate course prices advertised on the internet are between £700 and £1000 and sometimes even more! If you see a course advertised at our price, please check to see if they offer the benefits of our NEBOSH course. With our price, you get far more than what you pay for! We don't just compete with other providers on just price, we believe we can offer a higher standard of service in terms of delivery and overall training experience. EASY PAYMENT TERMS: A small deposit is required to secure your Fire certificate course place, the remainder can be paid just before your course start date. We take all forms of payment and will even consider discounting our already awesome price for multiple bookings. COURSE QUALITY: Our low price does not affect the quality of our NEBOSH fire certificate course no expense has been spared in providing the best possible learning experience for our students. You will not find a higher quality NEBOSH fire certificate course available anywhere in the world. OUR REPUTATION: We are a well respected NEBOSH fire certificate course provider, our courses are used by many of the world's largest companies, such as the United Kingdom Foreign and Commonwealth Office, Transport for London, The Royal Navy and Associated British Foods to name but a few. Our large Clients invest thousands of pounds in employee NEBOSH training and they need absolute assurance that their staff will pass the course. Failures can lower moral, cause workplace disruptions and entail additional costs in terms of revision and re-sits. We regularly deliver 'in company' NEBOSH courses, which can offer big savings to a company looking to train a large group of staff. Take a look at our testimonials page, we have 1000's of extremely satisfied students from all over the world. A recent example can be found below, it's essential to choose your course provider on reputation, we are always happy for people to talk to past students and companies who have studied with us. EXCEPTIONAL TUTORS: All of our Tutors are highly qualified and practicing Chartered Safety and Health Practitioners with up-to-date worldwide experience of implementing fire safety management systems AND undertaking fire risk assessments. You will be taught by an expert consultant with real-time varied experience, this will help you gain a practical understanding of fire risk assessment and the various methodologies for undertaking the fire risk assessment process. BLOCK DELIVERY METHOD: Our NEBOSH fire certificate course is ran over 5 days with the FC1 Unit exam taking place at the end of the course. It is possible to find providers who will offer a day release method however this method takes far longer and has lower pass-rates. If you are considering using the NEBOSH fire Certificate to embark on a new career, you need to gain the qualification and be able to use it as quickly as possible. PASS-RATE: Our NEBOSH fire certificate course pass-rate is exceptional, you can rest assured that you are in safe hands. Our tuition methods have been developed to ensure exam success. It doesn't matter about your age, existing experience or qualifications, we have a track record of getting people through! Many of our students are past NGC students who know this and come back to us to do their NEBOSH fire certificate course. GRADE RATE: Although a pass grade is all that really matters. It is possible to gain Credits and Distinctions in the NEBOSH fire Certificate examinations. Most of our students pass with a high grade we get lots of Distinctions and Credits. AWARD WINNING TRAINING: We won an award from British Sugar plc for the quality of the NEBOSH training and the effect it has had in improving safety culture and reducing workplace accidents across their UK sugar factories. We have trained hundreds of British Sugar employees over the years. SMALL STUDENT GROUPS: We have small groups to facilitate learning and interaction. Some course providers have very large groups, which can have an effect on the quality of the course and the examination results. COURSE DOCUMENTATION: An excellent NEBOSH Certificate study book is included as well as extremely well prepared and focussed handouts and tip sheets. In fact everything you might need is provided, including folders, pens and stationary, Just bring yourself and your enthusiasm for fire safety to the course, we'll do the rest! CAREER ADVICE: We also realise that many people attend our courses having been made redundant or just people looking for a new career direction and see fire safety as a good job opportunity. We understand that it can be difficult to break into a new career and offer assistance in preparing CV's and job search techniques and in some cases good business contacts. Our consultants travel the world and work in such places as Saudi Arabia and Kazakhstan and can give good advice on how to progress a lucrative career in the oil and petrochemical and other high risk industry sectors. If you want to be a Manager or embark on a fire safety career in a high risk industry, you will benefit from a NEBOSH Certificate in Fire Safety and Risk Management. 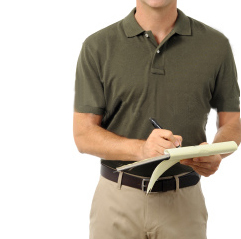 Many oil companies send us their staff to be trained, they place their trust in us, so you can too! 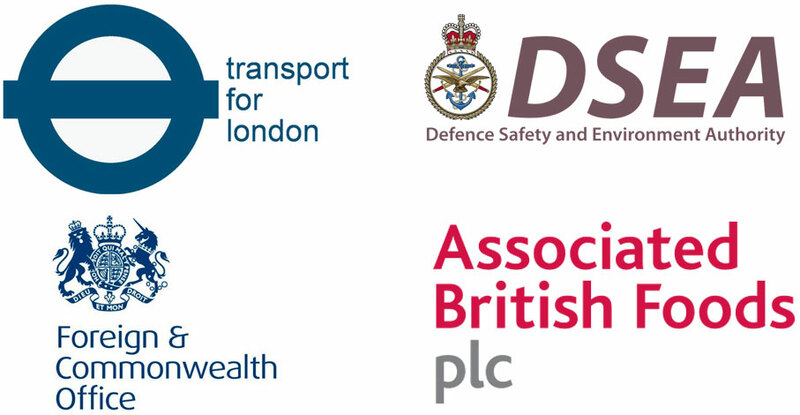 ELCAS - We are also an accredited and approved learning provider for the MoD's Enhanced Learning Credits Scheme (ELC). The ELC scheme provides financial support in the form of a single up-front payment in each of a maximum of three separate financial years. All of our NEBOSH courses are available for funding under the scheme. We have many years experience of training past and present armed forces personnel and can offer some good advice for armed forces personnel on using a NEBOSH fire certificate qualification in "civvy street". Give us a call and book today, you won't be disappointed. The NEBOSH Fire Safety and Risk Management Certificate has been designed for managers, supervisors, employee representatives and those embarking on a role with fire safety responsibility. It is also suitable for qualified safety professionals who wish to build on their existing knowledge of fire safety and demonstrate a level of competence to enforcing authorities, insurers and employers. The NEBOSH Fire Safety and Risk Management Certificate is aimed at anyone who has an interest in fire safety. Our delegates come from all backgrounds and professions. The Regulatory Reform (Fire Safety) Order (RRFSO) 2005 requires that the ‘Responsible Person’ must appoint a sufficient number of competent persons to assist with undertaking the preventive and protective measures required by the RRFSO. The NEBOSH Certificate in Fire Safety and Risk Management is an excellent step to complying with the law. Many delegates attend the NEBOSH fire certificate course having been given responsibility for fire safety in the workplace, including the undertaking of fire risk assessments. In these circumstances the NEBOSH fire course is an excellent way of building a level of competence to enable the management and coordination of fire risk assessment. Health and Safety Advisers/Managers can also benefit, as the NEBOSH fire course has a wider fire safety syllabus than the NEBOSH Diploma. For many Safety Advisers, including Chartered Professionals, fire safety is not an area that they have previously focused on and even where knowledge was previously good, they feel a reminder is worthwhile. So the NEBOSH fire course can help fill that training and competence gap. Many Chartered professionals also attend the NEBOSH fire certificate course to increase their competence and to demonstrate to external organisations such as Insurance Companies that they have a qualification specific to undertaking fire risk assessments. The NEBOSH fire certificate course is also suitable for other professionals, such as engineers, architects, designers and scientists. As fire safety embraces all of these technical disciplines, everyone can benefit from the NEBOSH Fire Safety and Risk Management Certificate. Fire Wardens and Marshals can also gain considerably from undertaking this NEBOSH fire course. Whatever method of emergency evacuation used in the workplace, fire marshals play a vital part in ensuring the safety of every person entering a building in the event of a fire. Fire can devastate a company so higher level training for fire wardens will ensure that they appreciate the dangers posed by fire and have the competence and ability to appreciate the issues and act accordingly. The NEBOSH fire course is also used by UK Fire Authorities, HM Prison Service and HM Armed Forces to raise a level of competence for staff who are required to advise on or undertake fire risk assessments. There are no formal entry requirements to the NEBOSH Certificate in Fire Safety and Risk Management but it should be noted that the examination includes a requirement to write a short report, although this is covered as part of the NEBOSH fire certificate course. 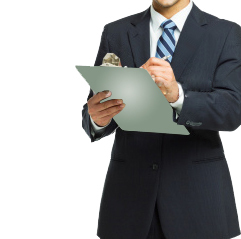 · Understand the legal framework relating to fire and health & safety. · Appreciate the purpose and procedures of investigating fires in the workplace. · Outline the principles behind ignition and spread of fire and explosion in work premises. · Identify the causes of fire and explosion and outline appropriate control measures to minimise fire risks. · Advise on the means of fire protection and prevention of fire spread within buildings. The duration of study for the NEBOSH Fire Certificate course is four days with the NEBOSH FC1 unit written examinations taking place on the Friday morning at the end of the week. The practical examination which takes the form of a fire risk assessment takes place in a student's own time following course completion.